Recently, I had to run heavy experiments that my Macbook Pro just wasn’t up to spec for. Seeing how Google is offering a nice credit bonus for signing up to their Cloud platform and a sustained-use discount, I decided to give their cloud services a go. Initially, I tried out their DataLab1 app , but quickly found myself wanting more fine-grained control. It was surprisingly easy to set up a Google Compute Engine Virtual Machine (VM) with the required hardware and software resources. In my case, I needed a moderately-sized server (16-24 cores2) with IPython/Jupyter, Tensorflow and Julia. This guide shows you how to set up a similar VM step-by-step, in 30 minutes or less. Create a Linux-based VM instance with the required hardware specs. Install Software: Anaconda Python, Tensorflow and Julia. Set up Jupyter (IPython), so that you can do your MachineLearning/DataScience magic remotely via a browser. Prerequisites: I’m going to assume you know your way around a Linux terminal. Machine type: a micro instance isn’t going to cut it for compute intensive tasks. I created a 16 vCPU machine; select what works for you. Note: if you need a machine with more than 24 cores, you’ll need to increase your quota. Boot Disk: I’m more familiar with Ubuntu so, that’s what I picked (14.04 LTS). The setup instructions below assume you’re using Ubuntu. Take note of the Zone and instance Name. You’ll need those them later in our final step. In this example, the zone is us-central1-f and the name is awesomeness. Google’s Compute Engine has a sweet browser-based SSH terminal you can use to connect to your machine. We’ll be using it for additional setup below. The VM that we instantiated comes with a 10GB SSD drive. It’s fast, but I needed more space. Follow these instructions to add more disk space. We’ll install three major software packages: Anaconda Python, Google Tensorflow and Julia. For many data scientists, Anaconda Python should suffice, but I wanted to play with Deep Learning models, and needed to run a tensor-factorizer I had written in Julia. There’s several python distributions around, but Anaconda is my favorite. It bundles popular scientific computing libraries into a single, coherent, easy-to-install package. If you prefer, you can also install via pip: follow these instructions. 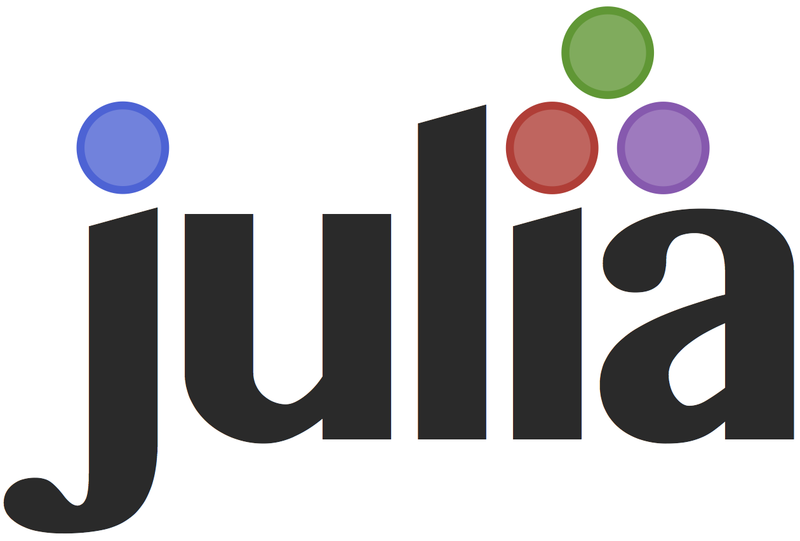 If you want to use Julia via the notebook interface, install the IJulia package. In our final step, we’ll need to set up the Jupyter server and connect to it. The following instructions come mainly from here, with some tweaks. Once that’s done, you have two options for starting up the server. The first is via nohup. The second is using screen. Both ensure your server doesn’t die upon logout. Using nohup is slightly easier, but I prefer the latter; I always install screen in a remote system I’m using. Choose either Option A or B below, then move on to setting up your client. This is the easier option. Create a notebooks directory and start our Jupyter server there. The -S option names our session (else, screen will assign a numeric ID). I’ve chosen “jupyter” but the name can be anything you want. You can now close your SSH session if you like and Jupyter will keep running. Now that we have the server side up and running, we need to set up a SSH tunnel so that you can securely access your notebooks. For this, you’ll need to install the Google Cloud SDK on your local machine. Come back after it’s installed. You’ll need to replace the <host-zone> and <host-name> with the appropriate zone and host-name of your VM (that you took note of in the first step). You’ll also find the relevant info on your VM Instances page. You now have a 16-core machine learning/data science compute server that you didn’t have 30 minutes ago. Have fun! Set up a Dataproc cluster with a Jupyter notebook server. If you’re exploring Python/Tensorflow, Datalab is a quick way to get up and running. I couldn’t find a machine with a GPU, but I hear Google is working on this. Suppose we have 4 coins, each with a different probability of throwing Heads. An unseen hand chooses a coin at random and flips it 50 times. This experiment is done several times with the resulting sequences as shown below (H = Heads, T = Tails) Write a program that will take as input the data that is collected from this experiment and estimate the probability of heads for each coin. where is the number of observed heads in the sequence of 50, is the coin selected ( forms a categorical distribution over the 4 coins for each sequence), and is the probability of heads for coin . Oh, and if I made any stupid errors, please let me know.